For many, Easter is a time to get together with family and friends to celebrate the coming of spring. 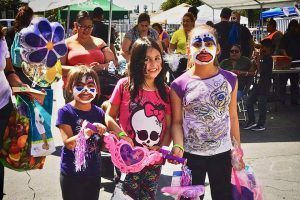 But for some San Bernardino County residents, there is little to celebrate this year as they will be unable to mark the day with the traditional ham and all the fixings, much less Easter egg hunts and baskets filled with candy. 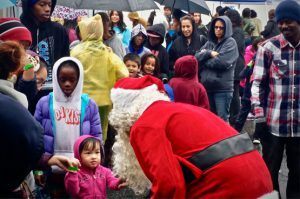 For this reason, local non-profits Project Boon, Inland Valley Recovery Services (IVRS), and Friendship Baptist Church team up each year to spread some holiday cheer. Hundreds of residents from local, underserved communities receive a warm meal, as well as much-needed local resources. The day’s activities include: music, take-home food bags, a resource fair, a clothes closet for men, women, and children, photo opportunities with the Easter Bunny, as well as candy bags, games, crafts, and raffle prizes for the kids. Thanksgiving traditions get people into the spirit of giving. Each year, Project Boon sponsors a Thanksgiving event at IVRS in San Bernardino. Project Boon provides food for hundreds of locals, including turkey, potatoes, green beans, corn, and all the fixings. This event helps people in need stretch their budgets while still enjoying all that the season has to offer. The day’s activities include music, take-home groceries, a resource fair, a clothing closet, and raffle prizes. 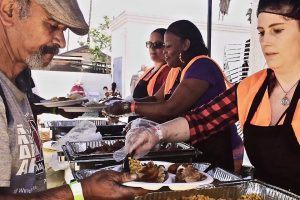 Every Winter, Project Boon and Inland Valley Recovery Services (IVRS) serve hundreds of warm meals at an drug and alcohol recovery center in San Bernardino, California. Together, they give out hot meals and toys to children with a little help from Santa Claus himself. This annual holiday event provides flu shots, TB shots, free clothing and other wellness services to underserved Inland Empire residents. Over a dozen local health and service providers join in to make this important holiday event even bigger, all the while spreading some holiday cheer to adults and children alike.